Are you ready to start your writing career and just trying to narrow down your freelance writing niche? If so, great idea. Although you can start your writing career as a generalist, I suggest finding your niche sooner rather than later. And it’s true. In my own freelance writing career, I’ve found that the more specialized I am, the more I can charge. Why Does Your Freelance Writing Niche Matter? Picture this, instead of being a writer, imagine being on the other end of the spectrum. Imagine being a business owner at a personal finance company. You’re looking for a writer who knows how to create killer content in the personal finance niche. This could be about things like maximizing your 401K, starting an IRA or how to start investing. Content like this can literally change readers lives if it’s well written and well researched. And if you’re hiring a writer, you’re probably going to look through countless pitches and job board submissions. “I’m a freelance writer who specializes in writing long-form, personal finance blog posts that attract and convert readers. If you imagine being on the other side of the hiring process, it’s easy to see that option three is the clear winner. That is the power of narrowing into your freelance writing niche. By clearly defining what type of content you write and how it will help them, you’re separating yourself from the countless other finance writers. Remember, clients want writers who specialize in their type of content. They know this will create better content and help them speak directly to their audience. Picking your niche doesn’t have to be complicated either. And it can change over time. I’ll give you a few examples. At the beginning of freelance writing career, I was in the personal finance niche. My blog (at the time) was about helping millennials with finances. I had already written a book on the topic and had a lot of articles on my site. So naturally, this is where I started pitching. And it worked. I wrote for all kinds of big personal finance sites and got recurring gigs. But after a few months, I was 100% over writing about “X ways to save money” again and again. In my own personal life, I had stopped focusing on personal finance so much and transitioned to a lot of personal development content. I became wildly ambitious learning about motivation, success habits, and understanding the power of the mind. Naturally, this made me have the attention span of a child when I was writing about “X apps to save money” or “X ways to make $100.” So I just grew out of it as I didn’t want to spend my day writing about stuff I didn’t care about. I was able to pivot and started pitching other types of clients. Now, I only have one personal finance client and most of them are in the self-improvement or entrepreneurial niche. Now that you have selected your freelance writing niche, it’s important to let the world know. This is one of the biggest tips to start freelance writing. You want to become relentless with self-promotion and marketing. No one knows that you’re a personal finance or B2B writer. It’s up to you educate friends, family, social media, and potential clients that you’re a qualified writer in that niche. This was a huge mistake I made when starting out, I was scared to narrow down my freelance services, specifically on my freelance writing website. I was operating from fear and not from abundance. Please don’t make this mistake! If you did your research, I’m sure there are plenty of businesses looking for writers like you. Remember, if you try to appeal to everyone you’re going to appeal to no one! When a client visits your site, they should quickly be able to say yes or no. If your site is set up properly and your message is clear, they should be ready to have you start drafting their first piece of content. The first place to advertise your niche is right on the homepage of your writer website. Make it bold and very clear who you are and what type of content you write. Clients will spend very little time on your site so it’s up to you to make it clear how you can help. Don’t worry about going too niche in your headline either. If you write strong copy on the rest of your freelance writer website, you can still get clients outside your niche as well. Social media is another great way to land clients. You want to update your social media and make it clear that anyone who lands on your page knows what you do. LinkedIn: While it’s not the biggest social media platform, it’s growing in popularity and an awesome spot to land freelance writing clients. Add your niche to your LinkedIn headline so potential clients immediately know. Make sure “freelance writer” or “copywriter” are also listed throughout your profile. Instagram: Surprisingly enough, I landed my biggest client on Instagram. Everyone’s using Instagram as they have one billion users each month. Make sure that you add writer or copywriter in your bio and next to your name. Take a look at my IG profile for some ideas. Twitter: While not as popular as it once was, it’s still a great place to promote your writing. You have limited characters with Twitter so use them wisely. sure to add it to your profile and add to your background picture as well. Facebook: I don’t get a lot of clients from Facebook but it’s still worth updating or adding to your banner image. Another easy place to add your freelance writing niche is in the subject line of your email. I also like to link to my portfolio to make it easy to get people clicking over. Now that you have your writing niche identified and promoting on social media, here are some ways to monetize them. One of the most profitable writing niches is ebooks and books. Recently I had a client reach out to me on Instagram saying he loved my content and message. He read a lot of my work on Fearless Motivation and thought I’d be a great fit for his ebook. We shared a similar message so I agreed to write it at .20 cents per word. What I didn’t know is that the ebook would end up being 10,000 words. Plus, he loved my writing so I also drafted his website pages as well. Nice $2,300 paycheck for writing about something I love! Usually, these are relationship-driven gigs, so build your network and let connections know you’re looking to ghostwrite books. This is also one of those things where I highly encourage that you enjoy the content. Otherwise, 10,000 words or more can feel like an eternity. Copywriting is a growing need and one of the best ways to make money as a writer. It is simply writing the words that sell in emails, sales pages or landing pages. If you’ve been around email marketing for a while I’m sure you’ve heard the old saying, “The money is in the list.” An email list is where you can get sales, build your tribe, and interact with your following. And it’s a great place to help clients with your persuasive writing styles. Usually, clients will hire you for an email series or even a retainer. Check out this interview with Carlos Redlich to learn what it takes to make 6-figures as a copywriter. Landing pages are essentially where you send someone intentionally. These pages get users to take action. Some companies use landing pages from Facebook ads to opt-in, join a webinar or even the home page. These pages are crucial as they are usually the first step in the client’s sales funnel. If you can help drive sales or capture leads, you can make big money. I’m talking a $1 per word sometimes! The next step up from landing pages is sales page copywriting. This is going to be more in-depth than landing pages and usually have a pitch to buy an online course, coaching or another high-ticket offer. Remember, clients are depending on conversions. If you can do make them hundreds of thousands (or millions) of dollars, they’ll pay you well! That being said, success as a sales page copywriter is all about delivering results. Unlike content writing, you’re basically getting paid for results, not content. This isn’t as big of a deal anymore since few people actually open their mail but it is still an option in some industries. If you’ve got good connections, you can go old-school and do direct response copywriting for the client as well. Everyone wants to get the first page of Google. Getting organic, SEO traffic is a big goal for a lot of clients (and bloggers like myself). 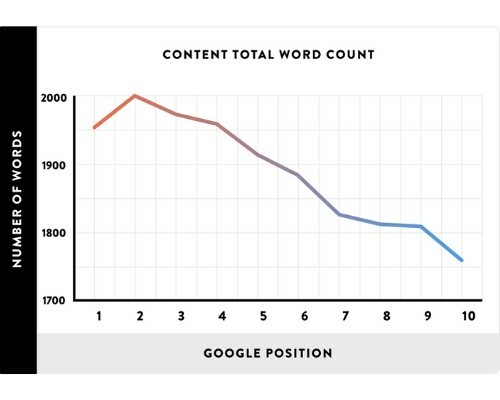 A Backlinko study found that the average word count of a Google first page result is 1,890 words. So clients understand the importance of creating epic guides and long, how-to posts that answers all of users questions. I’ve created several epics posts for clients and myself (like this one – 50+ Freelance Writing Jobs Online) to rank higher. Depending on the client and industry you can easily earn between $300-$500+ per post. If you do a great job, clients will often time keep you around and pay you well for your work. The key to this type of writing is making sure it’s got a ton of value and easy to read. You don’t want huge blocks of texts and fluff just to hit your word count. It’s also very important to learn about SEO for your blog, headline creation to drive clicks, formatting, and more. Ultimately, the goal is to create a piece that’s so in-depth that the reader can get all the info they need from your one post. Google and clients will love this as well as users don’t bounce and it shows that people are trusting your client’s site. Another great niche to get into is marketing blog posts for small and large companies. I started ghostwriting for a top webinar company and have made great money for each post. Plus, I really enjoy writing about digital marketing and online sales so it’s a win-win. Like I mentioned earlier, try to find a freelance writing niche that is profitable and something you actually like to write about. You can break into any niche by starting small as well. I started out writing shorter client blog posts and they like my work so it transitioned to longer, higher-paying ones as my knowledge grew. 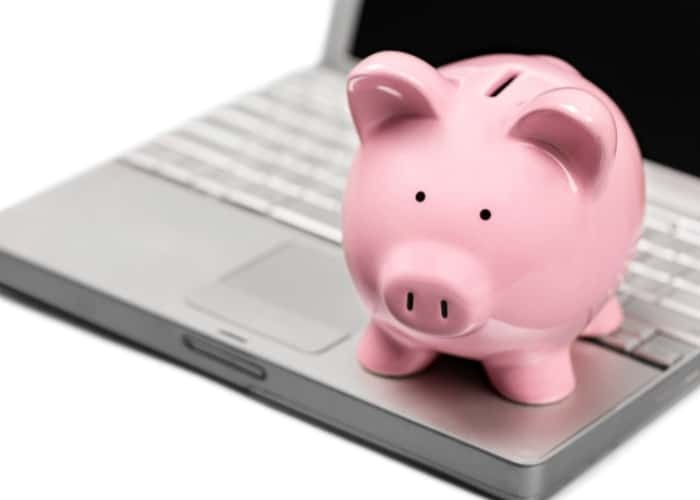 Personal finance is one of the most profitable blogging niches online. With high payouts from finance companies, the niche is incredibly competitive. These site owners and bloggers will pay very well for quality content writing. If you have specialized knowledge in this area, you can feel confident that you’re going to find it a lot easier to land these high-paying gigs! This was how I got my start with freelance writing and landed some big clients that helped my portfolio as well. One way to niche down is to get into specific types of finance like investing, cryptocurrency or whatever the new trend is at the time. As always, try to niche down wherever possible. Clients pay for content (video or written) that converts clients. In other words, specialize in writing scripts for videos that help your clients make money. Many agencies are specializing in video production now and can be a place to get started. If you have your own blog, a great way to get started is to create your own video and display it on the homepage. I’ve never personally done any white papers but heard from a lot of other writers that it’s insanely profitable. If you don’t know, white papers are in-depth reports, and they present a problem and solution in a way that is meant to persuade the reader. They’re especially popular in the technology niche but honestly sound super boring. Luckily they pay really well. Sometimes a $1,000 or several thousand but there is a copious amount of time and research needed. Usually, you get to interview someone so even if you’re not a guru or expert on the tech side of things, you can learn from the interviewee. 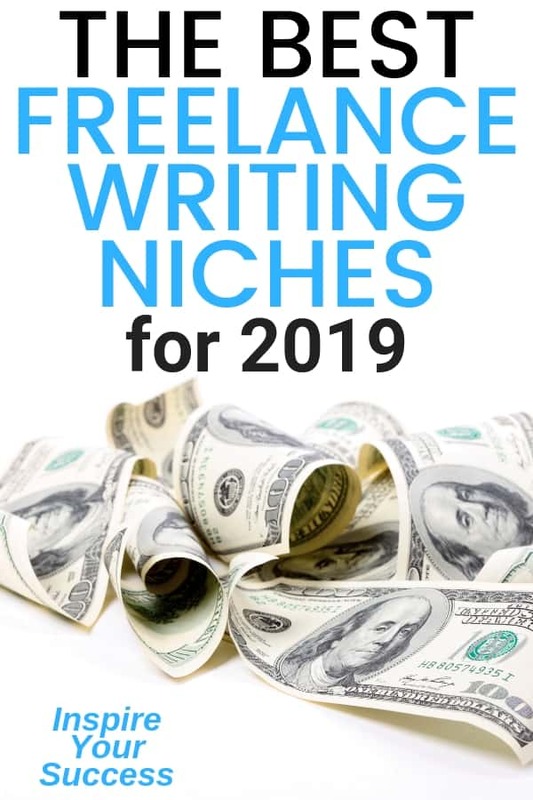 Picking your freelance writing niche is vital making great money as a writer. It’s nearly impossible to make six-figures a year as a generalist without working a lot of hours. Choosing the right niche will help you enjoy your writing and get paid well. I think long-term success as a writer is finding a combination of the two. Otherwise, it’s easy to burn out. Once you choose a niche, make sure to update it on your freelance website, social media, and elsewhere. Make it clear to people what you do and who you can help. What’s your niche? Let me know in the comments. Thank you for suggestions. Narrowing it down works best and like you said, always try to write about things you actually like or/and are interested in. It will be much easier and pleasant this way. I’ve never considered video scripts but you do have a point. You mentioned writing in the crypto niche. I wonder if you actually have investments in this market. I invest around 3% of my monthly income into 20+ different coins and will be leaving it along for the next 3-4 years. How about you? 100% agree! I don’t have any crytpo investments but plan to in the future. Still grasping how it all works but think after the recent drop in the last year it’s a buying opportunity. I appreciate you reading, thanks again!